For North Korean athletes, gold is richly rewarded — and failure can bring a stint in a labor camp. Powered by blood, sweat, and tears, any athlete battling for glory at the Olympic Games could easily feel like the stakes couldn’t be higher. 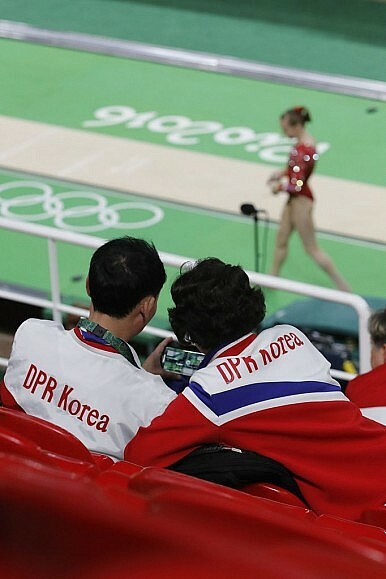 For the 31 North Koreans currently competing for their repressive homeland in Rio De Janeiro, that’s probably not far from reality. Soon after North Korea lost all three of its matches at the 2010 World Cup, a thinly-sourced report by Radio Free Asia claimed the regime had publicly humiliated several players and relegated the coach to construction work as punishment. While sufficiently concerned to launch a brief investigation, FIFA judged the claims to be unsubstantiated. If that sounds intimidating, there have been whispers, based on an unverified Japanese newspaper report, that the leadership has set its expectations for success higher than normal for the latest Games. While of questionable credibility, the story goes that supreme leader Kim Jong-un ordered the North Korean team to bring home five gold medals. As of day six of the Games, North Korea had only nabbed two silver medals and two bronze. Its best-ever showing was four golds, snatched at the previous Games in London and the 1992 competition in Barcelona. North Korea’s tight control on information makes it impossible to fully grasp the workings of its sports regime or the fate in store for its athletes. But what is clear is Pyongyang’s keenness to trumpet its successes and brush over the failures.